Uncategorized | First Nations Film and Video Festival, Inc.
Come out to support Native American cinema! Hear about this new project! 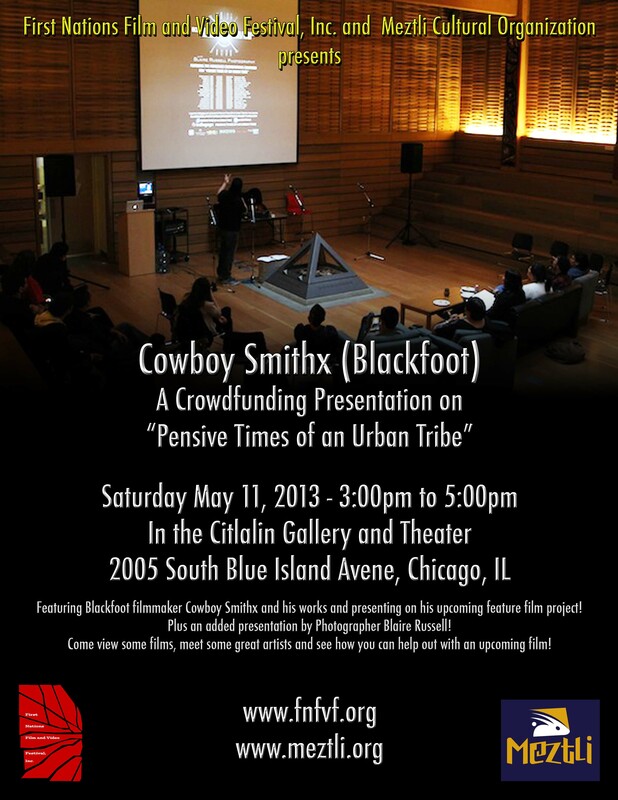 Featuring Blackfoot filmmaker Cowboy Smithx and his works and presenting on his upcoming feature film project! Plus an added presentation by Photographer Blaire Russell! 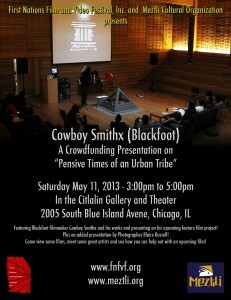 Come view some films, meet some great artists and see how you can help out with an upcoming film! Visit the FB Event page to RSVP! For more information on the project “Pensive Times of an Urban Tribe” visit their Fundweaver Page!